Long story short- I spent the next 30+ hours traveling on 6 different buses between 7 different cities, including an unplanned overnight stay in the city of Trujillo, Peru. 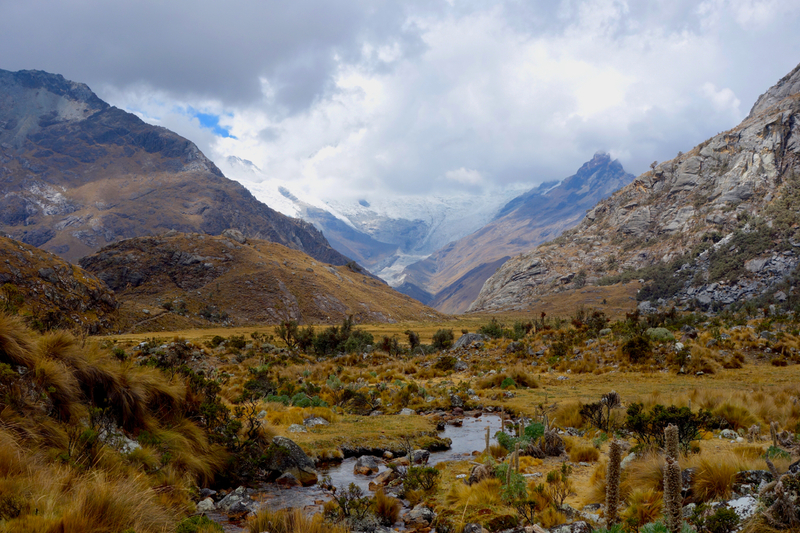 Yeah- an epic Moving Day if there ever was one… Nevertheless, as soon as my bus cleared the high mountain pass and started its descent toward Huaraz in the valley below, I knew I had made the right decision. 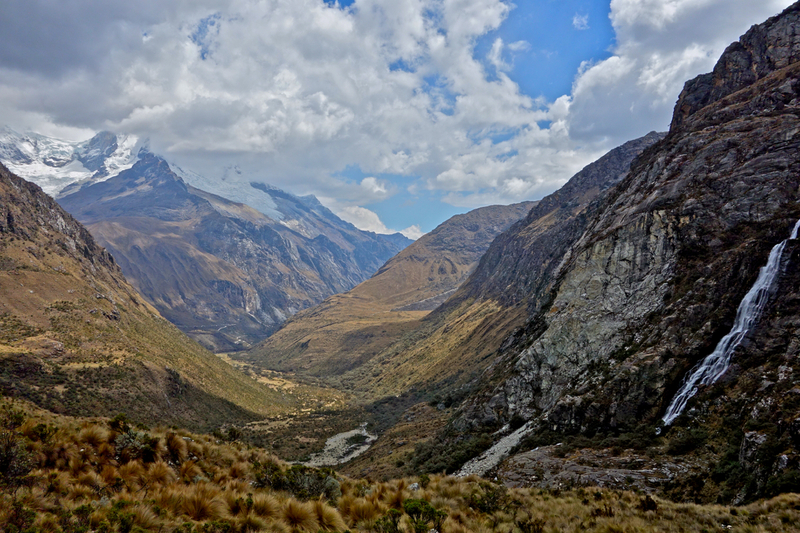 The snow-covered peaks of the Cordillera Blanca spread out before us, stretching from one horizon to the next. Glaciers poured down the sides of the mountains, glinting in the bright midday sun. Billowing clouds and spotted sunshine created a beautiful scene as the bus wound its way down the mountains. ‘Now THIS is what I came to South America for…’ I thought, with a smile on my face, anxious to stretch my legs in the city below. 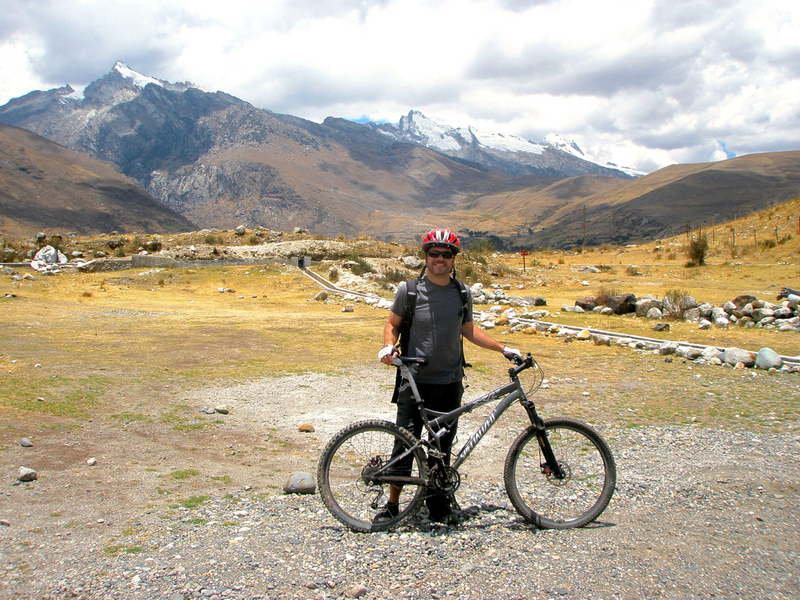 I had read that Huaraz was one of the mountain biking capitals of South America, and thus spent my first day acclimatizing to the altitude in Huaraz (3.052m/10,013ft.) and talking to several different companies about possible day trips for the following day. 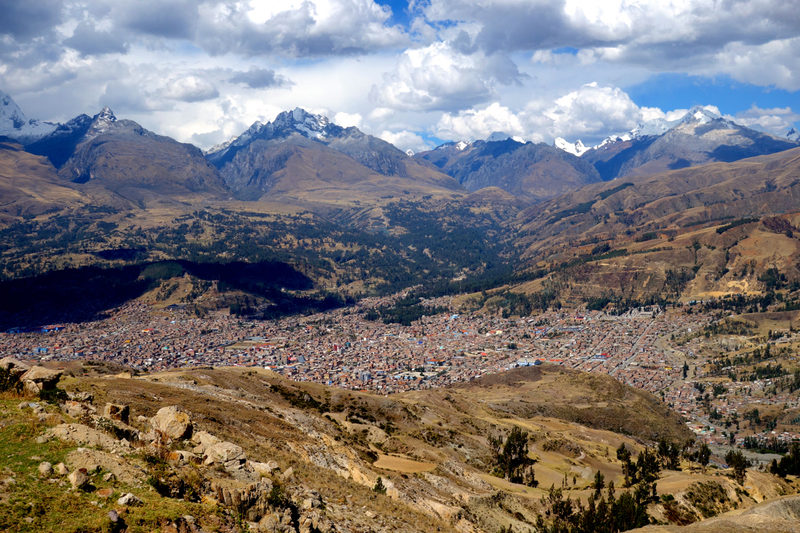 It was the ‘shoulder season’ in Huaraz- coming down from the high and into the low season- so there weren’t a lot of people around, which meant that bike trips were hard to come by. 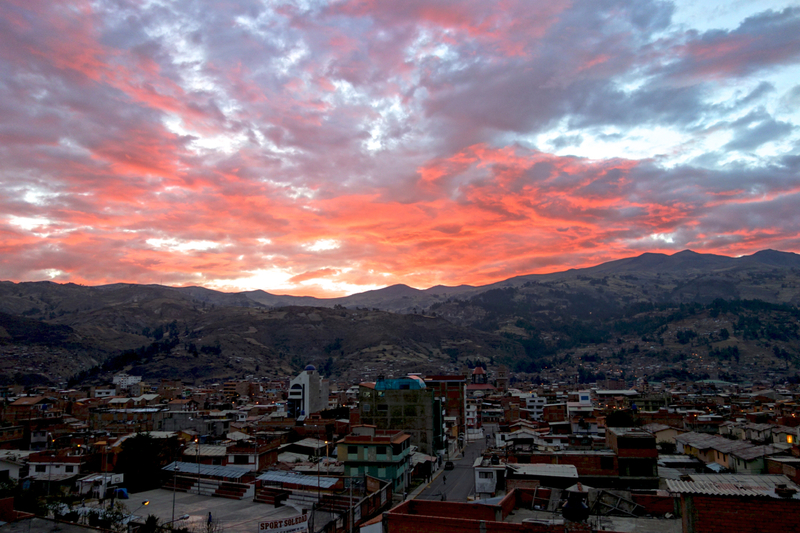 Luckily, I found a company that would run a guided trip for one person, so I booked with them, had a quick bite to eat, and headed to bed , excited for my downhill trip through the Andes the following day. 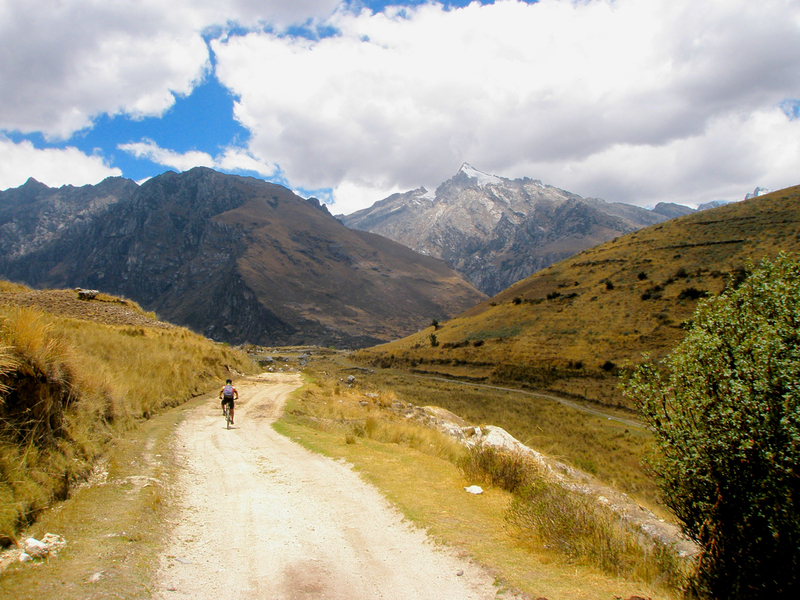 The ride continued like this for the rest of the day, as Jesus and I wound our way down the mountain and back to Huaraz. It was pretty intense- probably some of the most technical mountain biking I have done in my life- and I was glad to have a bike with full suspension. That made all the difference when taking on the boulders, steps, and steeper sections of the trails. We wound our way through some villages as we got closer to the end of the trail, with children shouting ‘HOLA!’ and waving as we sped past them… Kids- they’re the same all over the world. 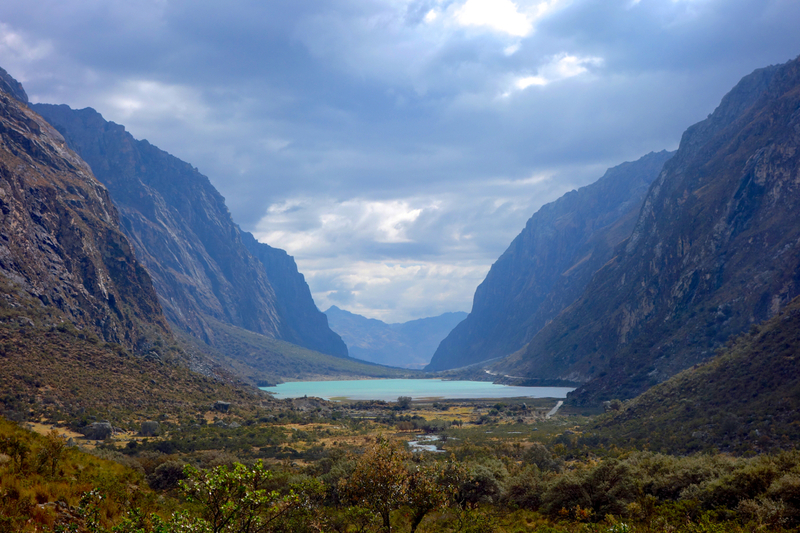 Finally, we came to the bottom of the trail, and found ourselves back in Huaraz. We wound our way through the upper city streets and down to the bike shop, where I hopped off my trusty steed, legs a bit wobbly, hands a bit sore from the incessant pounding of the rocks. I was tired, for sure, but it had been a great day on the trails. I thanked Jesus, and headed to the hostel for a quick shower. I spent the rest of the day hanging out in a café in town, checking email and having an amazing omelet for lunch. I had a big hike on tap for the next day, so again, it was a low-key night: quick dinner at local Chifa restaurant (Chinese), a quick stop at the market for some water and snacks for the next day, and then back to the hostel. I was exhausted, and needed some sleep before the long hike to Laguna 69. 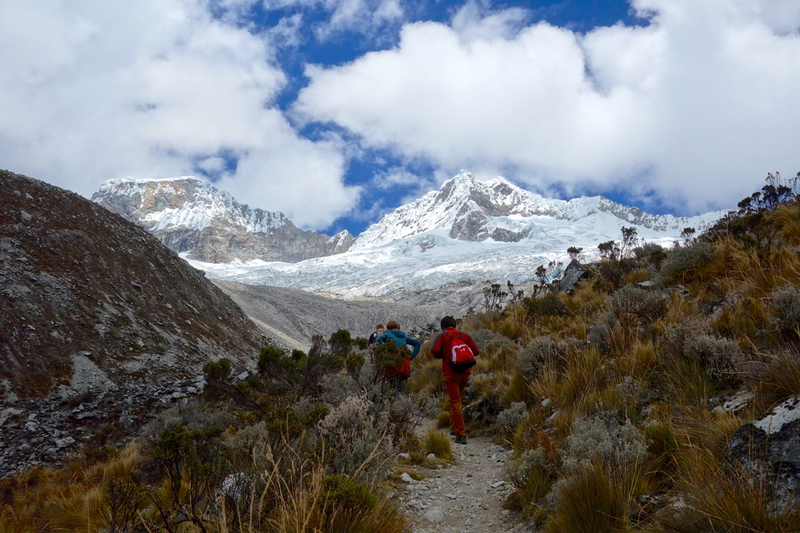 Hiking in the Cordillera Blanca. IN-SANE. Eventually, we mounted the final set of switchbacks, and the sparkling, impossibly blue mountain lake of Laguna 69 came into view. Again- SPECTACULAR. Crystal-clear, all the way to the bottom, with countless waterfalls trickling down from the glaciers just above; towering peaks surrounding the lake, their snow-capped peaks glowing in the sunlight- a remarkable setting, to say the very least. Of course, words, pictures, even HD videos will never do it justice- it is a place you will have to visit for yourself… We scattered around the rocky shores of the lake, and settled in to enjoy a couple of hours at what has to be one of the most spectacular places in South America. Lunch, tea, photos- one brave soul even went for a swim in the glacier-fed lagoon. A QUICK swim. As is always the case, the time went by way too quickly, and before we knew it, we had to start the hike back down the mountain. The hike down was spectacular as well- the clouds had cleared out, and the valley spread out before us as we descended the winding trail. We took our time on the way down, enjoying the scenery and stopping here and there for a quick breath. Eventually, we made it down to the side of a mountain stream just before the trailhead, so we sat down and relaxed in the mountain sun. It was a clear afternoon, and the sun felt great after a long day on the trail. We finished off the remnants of our lunches, and had a quick snooze before heading up the final part of the trail to meet the bus back to Huaraz. 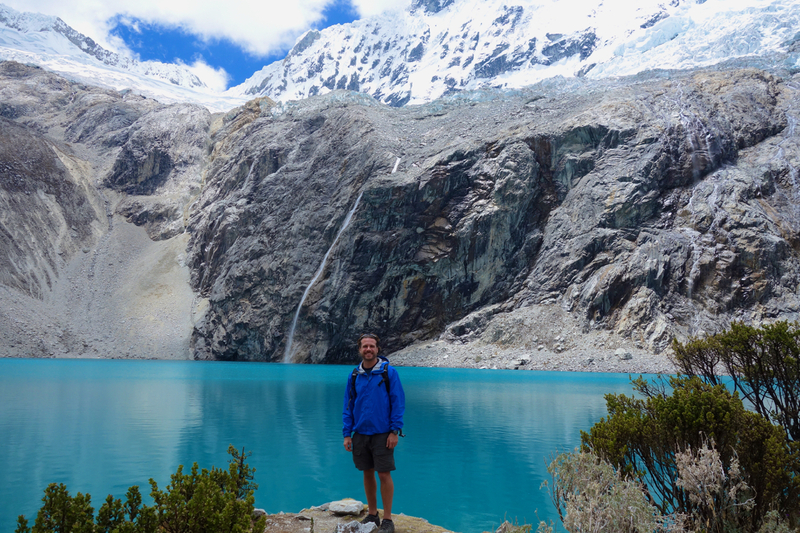 Again, words and pictures can’t do it justice, but it was a GREAT day on the trails of the Cordillera Blanca. I hope this is what heaven looks like... Amazing. Of course. After such a day, we were all BEAT. We agreed to meet in the central plaza to go for dinner, but none of us had much to say over our meals. I had a 10am bus to Lima the next morning, so made my way back to the hostel, packed my bags, and hit the hay, asleep in seconds. 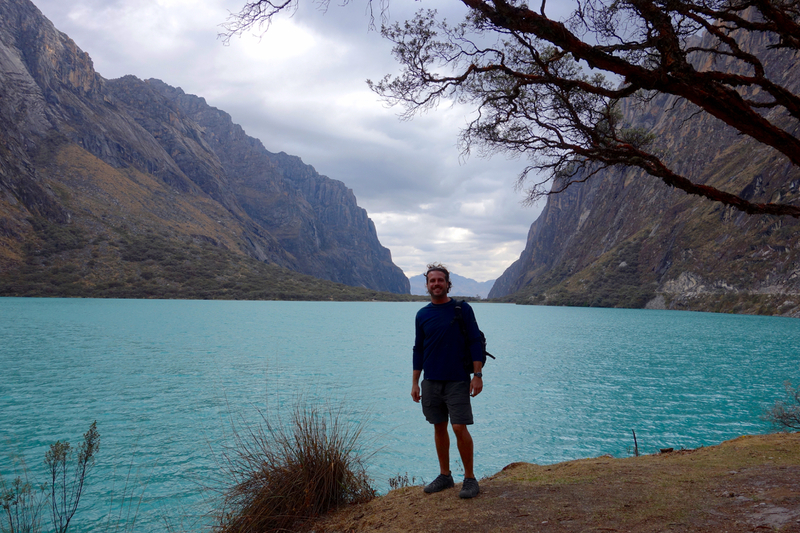 My time was short, but it was a great few days in Huaraz, and well worth the epic journey to get there. It is definitely a place I hope to return someday.